You mix any items from my store! *we support shipping via China post/EMS//DHL/. Please allow 7-25days to reach. *In order to ensure you receive your order with tax free or lower tax upon import, we'll declare it as a “gift” with a lower value, if any import charges or fees are the buyer's responsibility. *We want to make sure you're 100% satisfied with your purchase! If, by chance, a product needs to be returned to us it must be in the condition you received them (unworn) and in the original box and/or packaging and tell us within 7 days after you received item. *The refund amount don't include shipping charge. Buyer is responsible for return shipping fee. When we received item, refund is issued. Customer satisfaction is very important to us. If you are satisfied with the items you ordered, please leave us positive feedback. If you have any dissatisfaction, please give us the opportunity to resolve the problem before leave us a negative feedback. We are sure that there is always solution and we sure don’t want a bad feedback to be where the transaction ends. * Mix order is available. *If you have any questions or need help, please feel free to contact us. We will reply within 24 hours. *If you could not find the items you are looking for in our store, we are willing to be your purchasing agent in China. Thanks for your time& Supporting! Welcome to my store for more new items. 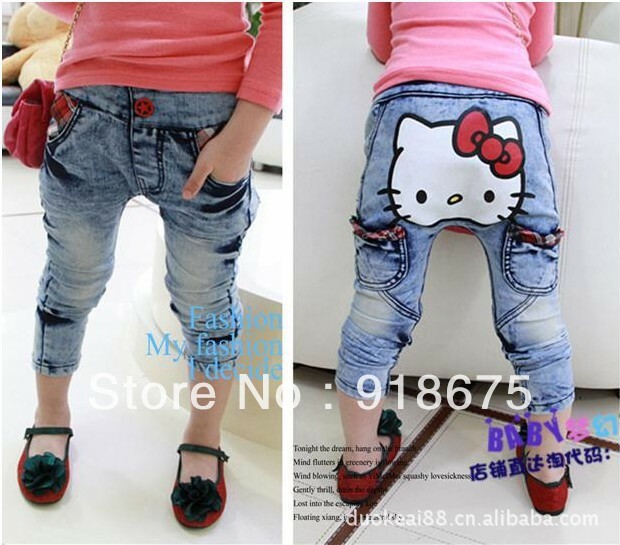 kids jeans pants,baby pants, girls zip jeans,skinny,children clothing,trousers, Leggings .